This week the co-founder and CEO of Rent the Runway, Jennifer Hyman, wrote an op-ed in the New York Times explaining her decision to provide hourly and salaried employees of the fashion startup equal benefits. While it feels good to read, it's also disheartening simply because it's one of those radical corporate decisions that, sadly, should be a no brainer. What I love most about the article is her transparency—her ability to not only admit the flawed rationale she used to make her initial decisions (e.g. other companies do it like this) but also take a strong stance against that original POV. And, of course that does not even touch on the issue of other necessary parental leave options. In a world with dramatically rising inequality, benefits like paid time off are particularly critical for hourly employees. According to Paid Leave for the US, only 6% of low-income workers in the US have access to paid family leave. Even more, a quarter of new moms end up back at work 10 days after childbirth. What exactly do we know about how kinds of work-life flexibility benefit employees in different jobs the most? First, not every employee faces the same work-life challenges, has access to the same types of flexibility, or experiences outcomes from them in the same way. For example, retail, food, and other workers in hourly jobs that pay at or close to the minimum wage often struggle to get sufficient predictable (and sometimes enough) work hours to care for their families. Thankfully companies are coming around, even ones you might not expect: Walmart announced in January that hourly employees would be getting the same parental leave as salaried employees. Bank of America, Wells Fargo, JPMorgan Chase, Hilton and Apple are additional examples of companies that provide equal paid leave to all their employees, both hourly and salaried. P.S. Don't forget to enter this month's giveaway of the book Reset: Business and Society in the New Social Landscape. All you have to do is hit reply and tell me why you think Corporate responsibility is important. 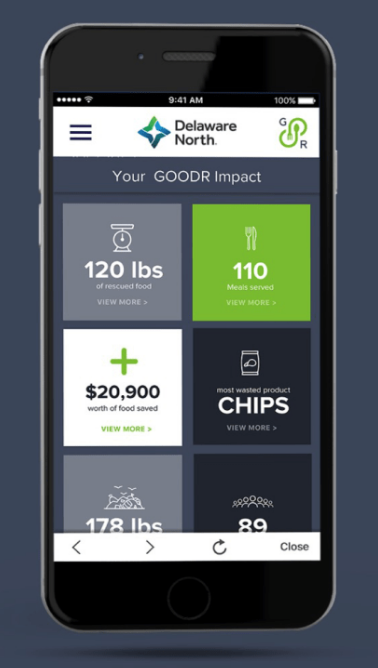 Jasmine Crowe is a food activist who founded Goodr, a food-waste management company that redirects surplus food from businesses to nonprofits that can share it with those who are food insecure. "It’s time for business leaders to step up and fulfill not only their fiduciary duty to shareholders, but also their moral duty to society to treat every worker equally."